As it stands now, VA doctors are restricted to discussing marijuana with patients and noting in medical records when/if they reveal medicinal use. 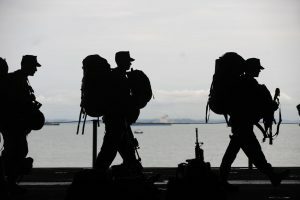 The bill’s sponsor released a statement underscoring his commitment to making sure military veterans get the care they deserve and aren’t unfairly penalized for seeking or obtaining it. The fact that both Republicans and Democrats are coming together on this issue, particularly now at a time of bitter partisan infighting on almost everything, speaks volumes about the fact that the tide is well into the midst of turning when it comes to federal law and marijuana. The drug continues to remain a Schedule I narcotic under the Controlled Substances Act, placing it in the same category with heroin, methamphetamine and LSD. These are drugs that have no recognized value as medicine, are incredibly addictive and dangerous. Obviously, this descriptor is nowhere near inaccurate, and it isn’t reflective of sweeping state law changes the last two decades (starting with California). Although cannabis operations are tenuously protected from federal prosecution thanks to The Cole Memo, there are indicators we may see tangible changes on the horizon. The 2018 Farm Bill declassified hemp and CBD-derived hemp. Months earlier, the U.S. Drug Enforcement Administration bumped CBD from a Schedule I classification to the much lower Schedule V.